Show off those letters! These frames will help do just that! Shiny mirror letters will get ya noticed while riding down the highway. Designs are listed as "top row/bottom row" - so you know what you're getting! 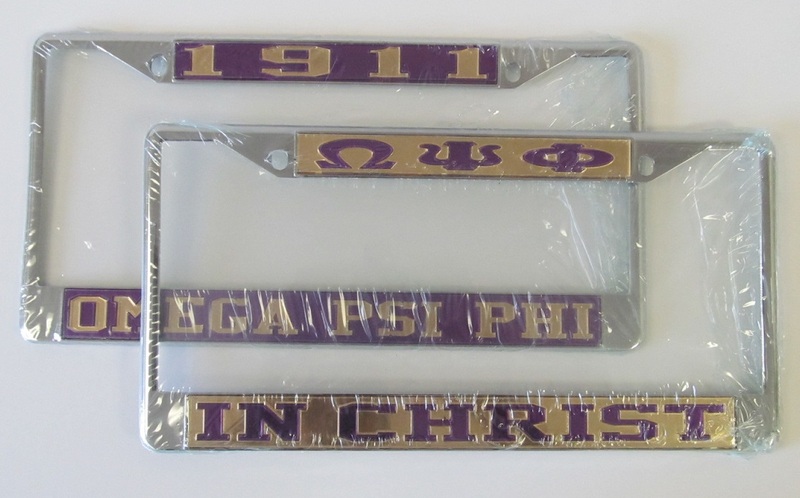 "Greek Letters" are the letters for "Omega Psi Phi"; "Full Spelling" is "Omega Psi Phi".